Discover the thrilling true stories of men and women who are real-life heroes. 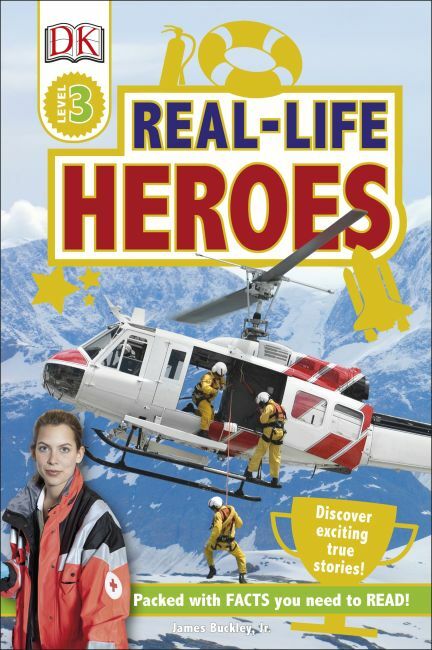 DK Reader Real-Life Heroes is packed with exciting photos and fascinating facts to inspire young readers. DK's innovative range of levelled readers combines a highly visual approach with non-fiction narratives that children will love reading. DK Reader Real-Life Heroes includes brave people who have risked their lives to save others; strong-minded people fighting for human rights, record-breaking sports people, bold explorers and exceptional scientists who have changed the world. Explore the exciting stories with DK Reader Real-Life Heroes, packed with facts kids will love reading. DK Reader Real-Life Heroes is a level 3 book for those "beginning to read alone".